Lawrie Zion is the head of the Department of Communication and Media at La Trobe University, and is co-founder of the online magazine, upstart, which showcases student writing, and provides a forum for emerging journalists. He has over 25 years of experience in the media, including a nine-year stint at ABC radio, where he was based at Triple J. He was a film writer for The Australian, and has written for range of publications including The Age, the US-based trade paper The Hollywood Reporter, Rolling Stone Australia and HQ. He was also a regular guest on the Ten Network's The Panel. He continues to appear regularly on ABC radio and on ABC TV’s News Breakfast. Lawrie is the co-editor of 'Ethics for Digital Journalists: Emerging Best Practices', which was published by Routledge in 2014. Matthew Ricketson is an academic and journalist. Appointed in 2009 as the inaugural professor of journalism at the University of Canberra, he was Media and Communications editor for The Age before that, from mid-2006 to early 2009. He ran the Journalism program at RMIT for 11 years and has worked on staff at The Australian, Time Australia magazine and The Sunday Herald, among other publications. Penny O'Donnell is Senior Lecturer in International Media and Journalism at the University of Sydney, Australia. Her research interests include work futures in global journalism, comparative media research. and digital transformation of the Australian media landscape. She is Chief Investigator on the New Beats Project, an ARC-funded study of the aftermath of job loss and re-employment in Australian journalism (LP140100341 and DP150102675). Internationalisation of the project now includes Canada, Indonesia, and Netherlands. Recent publications from the project appear in Journalism Studies, Journalism: Theory, Practice and Criticism, Journalism Practice, and Australian Journalism Review. Tim Marjoribanks joined Swinburne University in October 2017 as Associate Dean (Research and Development) and Professor of Management. His research and teaching engage with debates in organisational behaviour and transformation, and management practice, both in Australia and internationally, with a particular focus on the media industry, journalism practice, sport, and new technologies. Tim graduated with a PhD in Sociology from Harvard University in 1997 (and an MA in Sociology from Harvard in 1994), after completing Honours degrees in Law and Arts (majoring in Politics) at The University of Adelaide. His PhD focused on technological innovation and organizational change in the global media organization News Corporation. 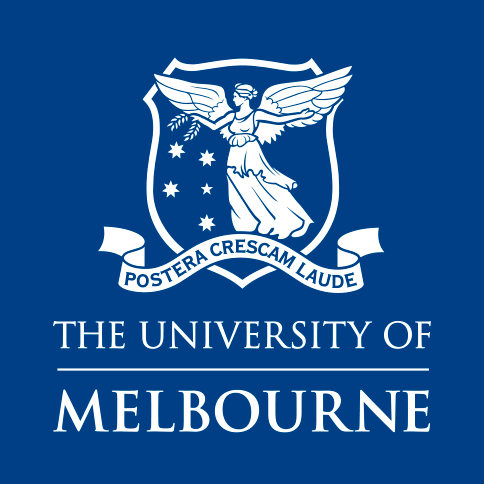 On completing his PhD, he had an academic appointment in Sociology in the Faculty of Arts at The University of Melbourne, from 1997 to 2010. From 2010 to 2017 he was Professor of Management at La Trobe University firstly as Head, Department of Management and then as Associate Head, La Trobe Business School, La Trobe University. Andrew Dodd is Director of the Centre for Advancing Journalism at the University of Melbourne. He has been a journalist for over twenty-five years, working in radio, TV, print and on-line. He was a media and business writer with The Australian and a broadcaster with ABC Radio National, where he presented many of the network's programs and founded the Media Report.He was a reporter on The 7.30 Report and has also worked for Radio Netherlands and community radio. He has freelanced for The Age and numerous magazines and newspapers and currently writes on media issues for various outlets. Mark Deuze is professor of Media Studies, specialising in journalism, at the University of Amsterdam’s (UvA) Faculty of Humanities. His research covers two fields. One field covers the manner in which peoples’ lives increasingly feature in the media. It is hard to imagine life without media intervention. Working with colleagues and students at the UvA, Deuze will continue his research based on his recently published book entitled Media Life (2012, Polity Press). Mark joined our team in March, 2015, and will lead our efforts to set up a parallel study examining journalism redundancies in the Netherlands. Merryn Sherwood is a journalism lecturer in the Department of Communication and Media at La Trobe University in Melbourne, Australia and a chief investigator of the New Beats project. She is a former newspaper journalist and has also worked in communications for the International Triathlon Union. She completed her PhD on the influence of public relations on sport news, and her research and teaching engage with journalism practice, media disruption, sports media and gender. She coordinates the sports journalism major within the Bachelor of Media and Communication at La Trobe.